Vintage rustic couples shower invitations with strings of lights on the branches of the old tree and romantic flowers field in a night. 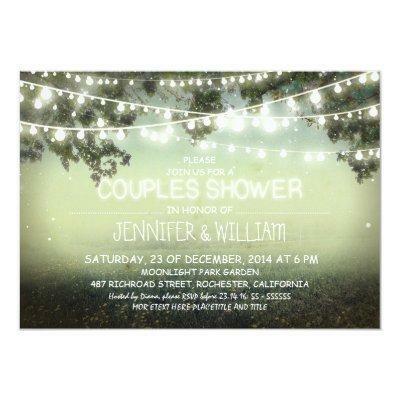 Cute stylish and creative couple&#;s shower invitations for outdoor party or shower in a barn. Please contact me if you need help with customization or have a custom color request.